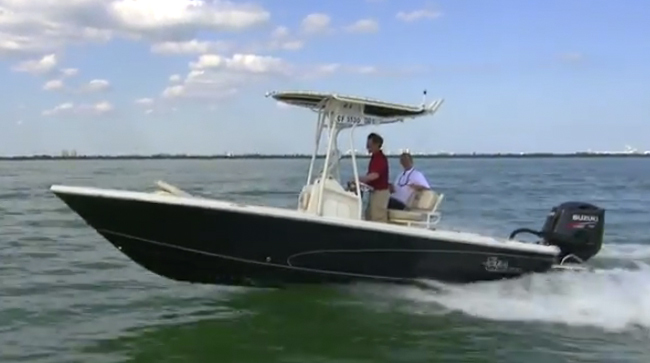 The 2015 Carolina Skiff Sea Chaser 22 HFC is a rockin' little center console. 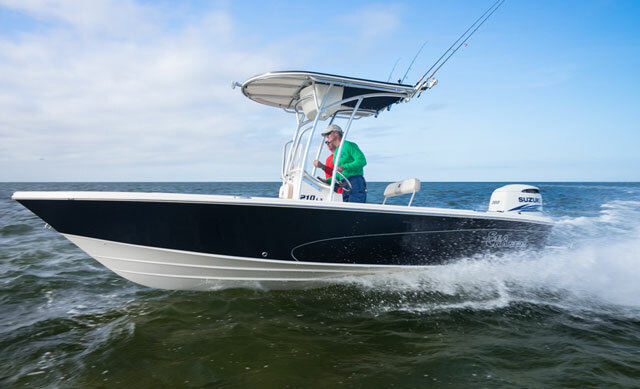 We weren't a bit surprised to come across the new 2015 Carolina Skiff Sea Chaser 22 HFC at the Miami boat show, because this company has been on a building spree lately. We also saw a new 23 LX Bay Runner, while last year we tested the 21 LX Bay Runner. The year before that, we spent some time aboard their Fun Chaser FGP pontoon boat, and their classic J 16 Skiff. So sure, we expect lots of new models from this builder. And if you're wondering what makes the HFC line different, click on the video and check this one out. In case you haven't guessed yet, the HFC stands for Hybrid Fish and Cruise. 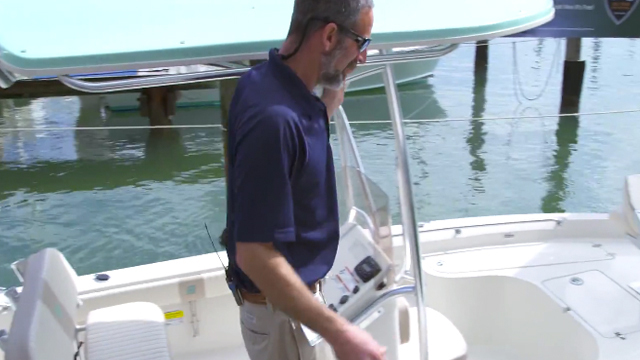 That's why this model includes a few items meant to boost creature comfort (remember those seat backs and the head compartment) alongside the fishing boat features you expect to find in a center console. And there are a few others, which we didn't focus on in the video. Courtesy lights, LED cup-holders, and tilt-steering, for example. 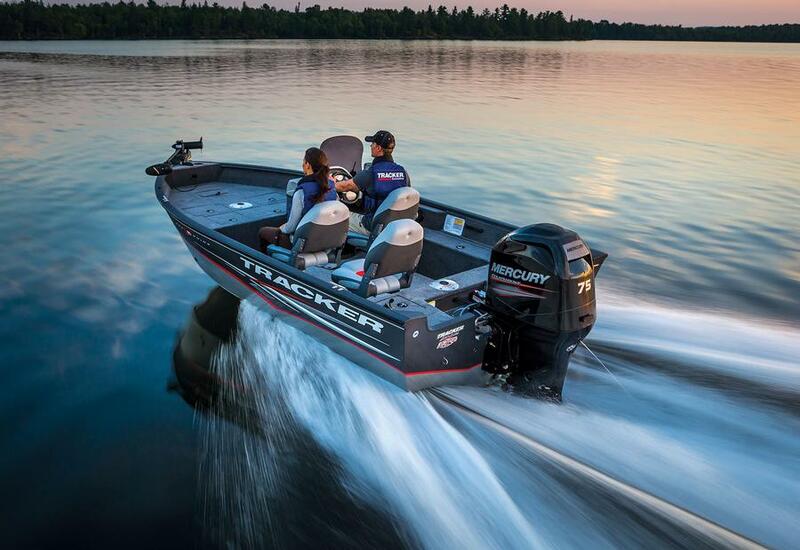 Of course, the center console market is flooded with 20-something boats of this nature. 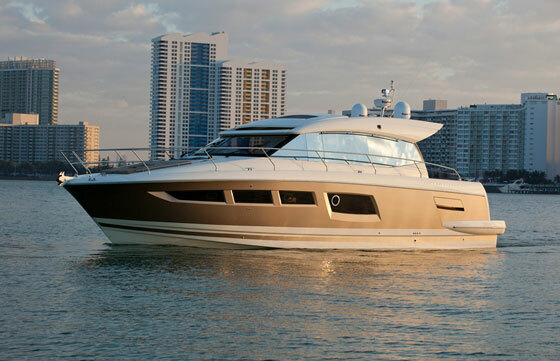 And no, the Sea Chaser line isn't the fanciest, nor the fastest among the fleet. But they are relatively low cost, and deliver a solid bang for the buck. 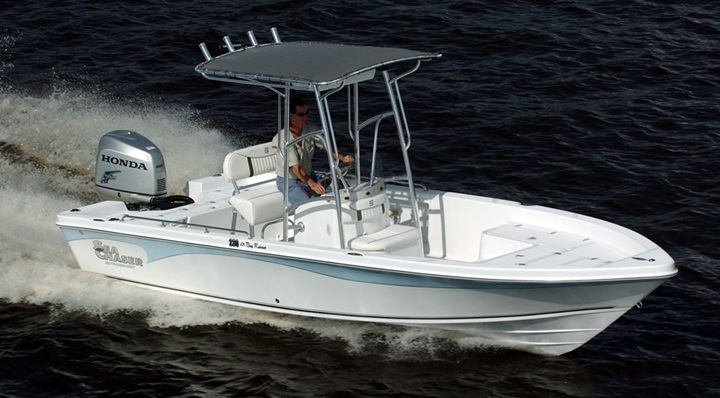 Just meander through these Carolina Skiff listings, and you'll see exactly what I mean. (You will have to scroll past the ones that say "call for price". Yeah, we hate that, too). Or, if you'd like to get some further information on how these boats are built, equipped, and outfitted, pay a visit to Carolina Skiff.